I am so glad that you like her @misspiggy!!!!! TY (((HUGS)))! I love, love, love this doll! 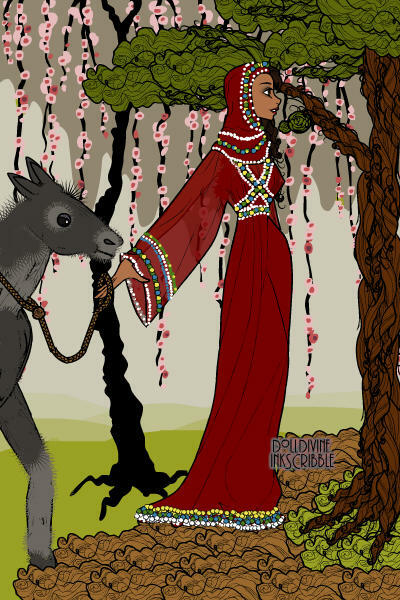 The bead work on her dress is stunning and the donkey perfect!This is one of my favourites! Miss Uzbekistan is absolutely lovely in the traditional garb of the nation she represents in the Miss World Contest. She has captured the hearts of the audience especially those who love pets. She is a pretty contestant. @hotchy the game is still going. Wished you could have remained in but I am going to use one of your dolls as a remake assignment in the game for one of the dolls if someone picks that one. She's beautiful and the donkey so cute!